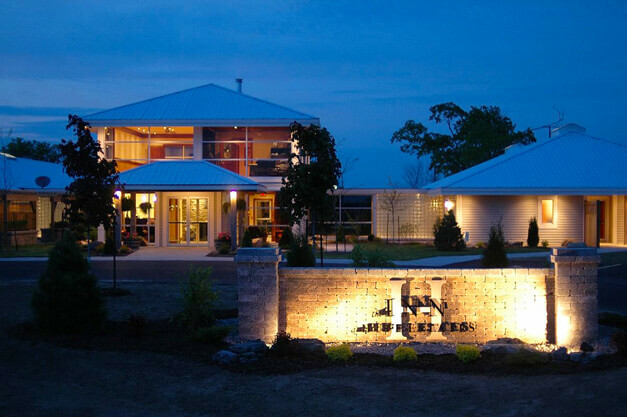 Huff Estates Winery was constructed with one thing in mind – producing high quality wines. The state-of-the-art facility has its crush pad and fermentation tanks sitting on top of a hill allowing for a natural gravity flow into the barrels below, which sit just behind the contemporary tasting bar. An indoor seating area is open for lunch from May to October, where you can sit back, relax and even listen to live music on Sundays. This room is equipped with two 24 foot sliding doors opening up to a beautiful patio overlooking the vineyard.